I’m going to start this review with what will most likely be an unpopular opinion about the older Master of Orion games: They’re dated. Yes, you heard me, I, a fellow 4X player, just told you he thinks one of many games that laid the groundwork for the space 4X genre is dated. Maybe not as good as you remember it. Still good. Still one of the games that laid the groundwork. And I hold this opinion for two reasons. 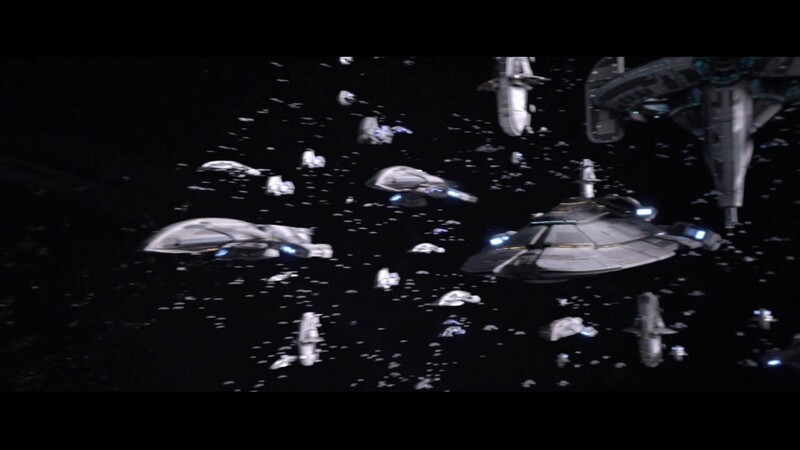 It isn’t *too* likely you’ll have this many ships in one fight. But god-damn, it makes for a lovely intro! Firstly, I’ve played enough of it, and recently enough, to know. Secondly, because comparisons are inevitable, and it seems some comparisons are being played up… And others down. Let’s start with what seems to be played down. Let’s start with how much attention has been paid to the feel of how grand Space Opera should be, and how it tries very hard to be more accessible this time around. Just a brief look at the IMDB page for this game leaves no doubt that vocal talent was a focus of the game. Michael Dorn narrates, leaders and advisors alike are played by such luminaries as John Kassir (The Cryptkeeper), John De Lancie (Q, among many others), Mark Hamill (Do I even need to say? ), Nika Futterman (Asaji Ventress, among others), Kari Wahlgren (The english voice of the Fate series’ Saber), Kat Cressida (Dee Dee from Dexter’s Lab), and Sumalee Montano (Arcee [Transformers] and Katana [Beware The Batman], among other voice roles), and each one seems to be giving their all. Similarly, the music and art direction (David Govett on music, and a talented art team including Bill Willingham… Yes, Fables Bill Willingham) show a deep love of the genre, with gorgeous landscapes, solid, characterful animations, and music that, my first time hearing it, I’m not ashamed to say I happy-cried. So the game is undeniably beautiful, both in sound and visuals. The UI, similarly, is well designed, simple, mostly self explanatory, with few interactions required to get to any one feature, only rare occasions where a tooltip will obscure a thing, and, of course, visual consistency. Similarly, there’s a lot of good writing in there, showing each race both as it is seen, and as it sees itself. GNN… Bringing you the clickbait for the New Diaspora! Accessibility wise, on top of the UI, everything is visually distinct, and the game is highly customisable in terms of difficulty and length. Don’t want to spend 10 hours on a game? You can up the tempo. Finding a full medium galaxy too tense in the early game? Knock down the number of opponents, make the galaxy bigger, tone down the difficulty… The choices are there, and they definitely have an effect. Myself, I don’t tend to do well in a crowded universe, so I knock the opponents down to 3 rather than 5, although I tend to prefer a medium universe. 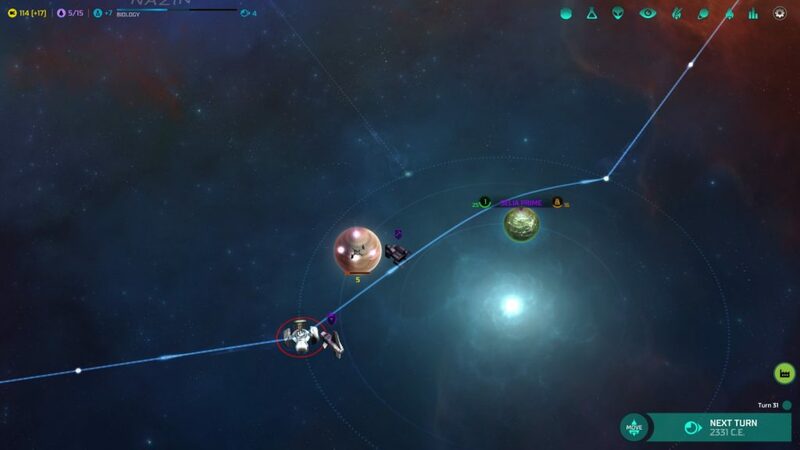 As in previous Master of Orion games, you can also create your own race, in much the same fashion as Master of Orion 2. And the tooltips are genuinely helpful, and the advisor interruptions are by no means unwelcome in the clear information they give. These are two factors that open this game up to newer players, and I think that should quite rightly be praised. Now… I mentioned some things have been played up, and all of them have the same, dubious core idea: That Master of Orion: Conquer the Stars (To use its full title for the first time this review… Most folks I know refer to it as MoO2016) is somehow more simplistic or easier than the older games. As someone who has now, since release, been bumrushed several times by races absolutely itching for space, who have obviously been concentrating on the shipbuilding end of things (That, or redlining their taxes), I would quite heartily disagree. In MoO2, I could quite happily spend 60 turns, or even 100, just slowly building up, sometimes without meeting anybody at all. In a Medium galaxy, populated by 5 other races, on Normal difficulty? The early game gets surprisingly tense, and I’ve often had to shift gears quite quickly. Knock the players down a bit, and it calms down a bit. Knock the difficulty down a notch, and similarly, it calms down a notch. As to simplicity? It’s a somewhat refined version of MoO2’s rules. Not a huge amount of changes, not a huge amount of additions or subtractions. Mostly, it’s been refinements, and y’know what? I’m okay with that. Finally, there’s the combat system. I don’t mind it either way, as it retains elements of the older, turn based system that MoOs 1 and 2 had (Complete with ship customisation elements), and the rock-paper-scissors of Energy/Missile/Mass Drivers remains, but with the real time strategy elements allowing skillful micro to outplay a superior enemy, or, if you so choose, being able to sit back and watch the combat resolve itself automatically… But more cinematically than just hitting Auto-Resolve itself. Now… Overall, I’ve been positive, and if you’ve read my work before, you’d know I will always try and balance things out, even if I’m not always successful in doing so. 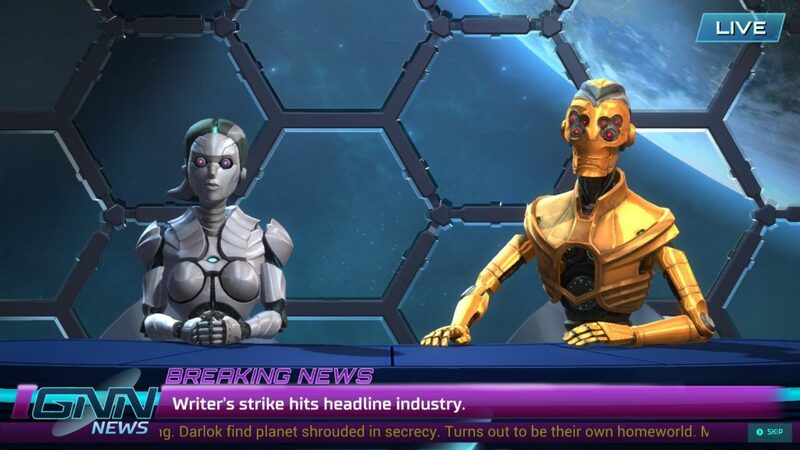 Master of Orion is not without its problems. 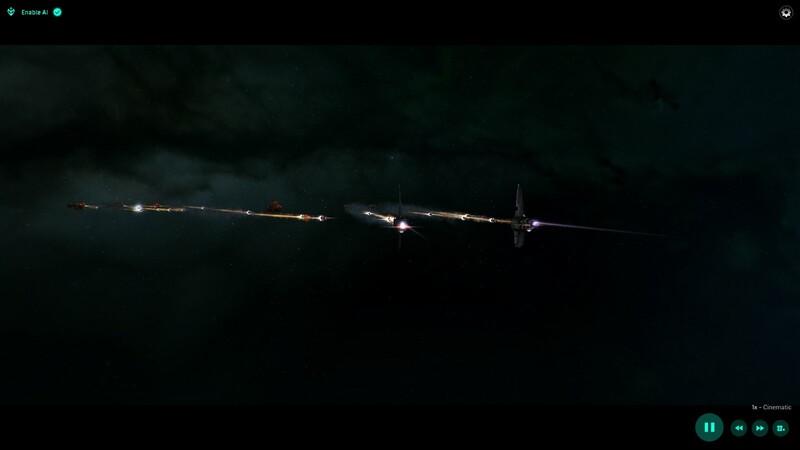 For example, selection of craft can get finicky at times, as it sometimes seems to want to drag craft as an interaction rather than the old “click select, click [if you want to select a specific ship], click move.” The AI’s primary interaction before you establish embassies is to be extremely aggressive toward everyone else, and production, in Classic pacing, feels a bit of a slog. I’m not going to accuse the AI of cheating with its builds, but I am going to say that their emphasis mostly appears to be on the Conquer side of the Paths to Victory rather than others, especially in the early game. As with many 4X games, once you get to the end game, you will probably be able to pick and choose which of the six paths to victory you go for, rather than having to choose. Those are a select few criticisms. …Followed by an early game beatdown from some extremely irascible Russian Space Bears. I will never mock the Bulrathi again. 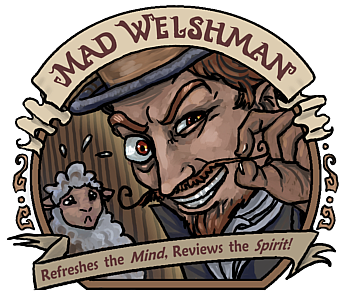 The Mad Welshman is now idly wondering whether anyone can do a similarly good job with other strategic games set in space such as Ascendancy, Millennium, or, just maybe, Emperor of the Fading Suns.